Abiodun stood to the left of the President and he was asked to move to Buhari’s right. However, as the President raised his left arm to endorse him as the APC candidate, the crowd went wild and hurled various objects at the stage where Buhari stood. It took the intervention of security operatives, who swiftly shielded Buhari from the attack. 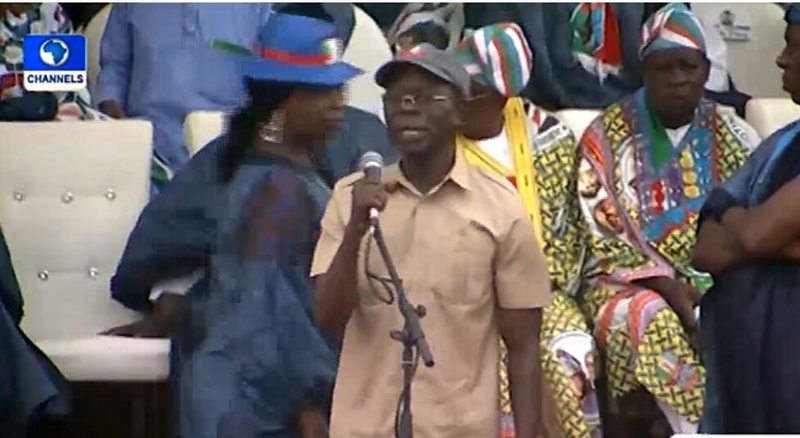 was a festival of boos at the All Progressives Congress (APC) presidential campaign rally held in Ogun State on Monday, as President Muhammadu Buhari barely escaped being the target of an angry crowd.